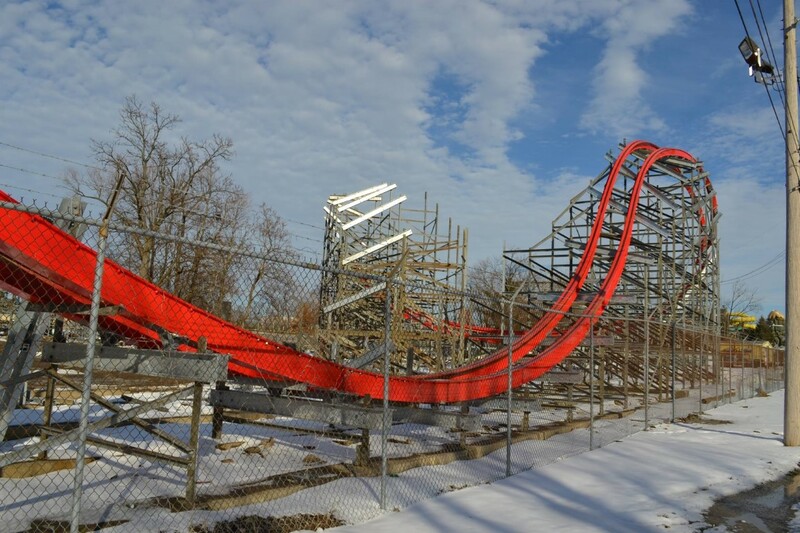 Here’s the latest Storm Chaser construction photos taken on January 24, 2016 by Jason Slone. 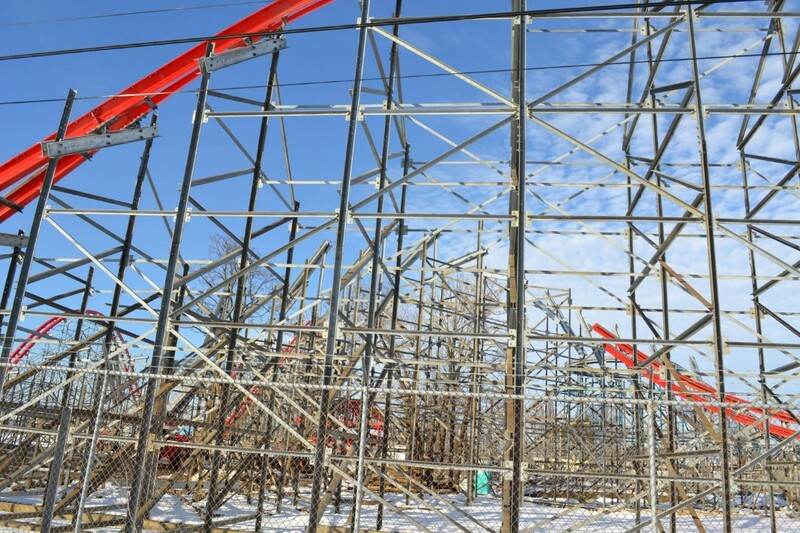 The bright red track looks really nice against this blue sky. 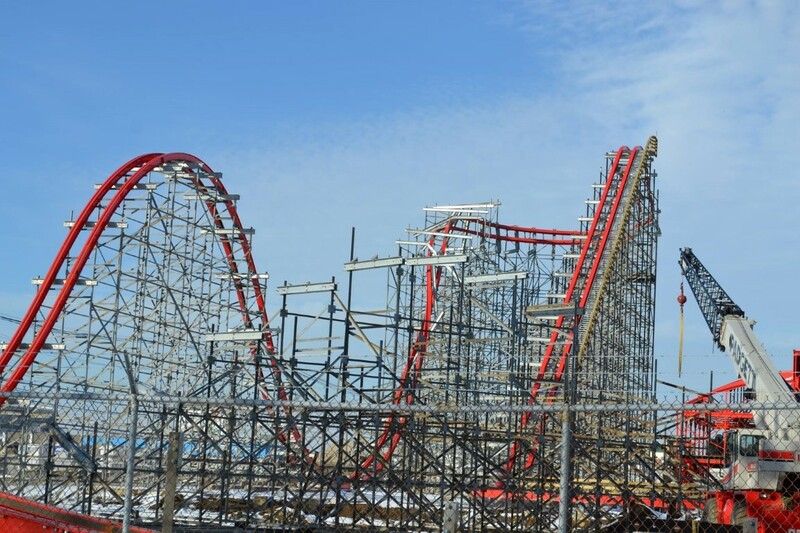 The “off axis airtime hill” looks unique and weird at the same time. The 140-degree stall will definitely be an insane moment. I wonder if anyone is gonna get hurt. Many of the big elements are done. Now, the small elements gotta be finished. Thanks to Jason for the photos. 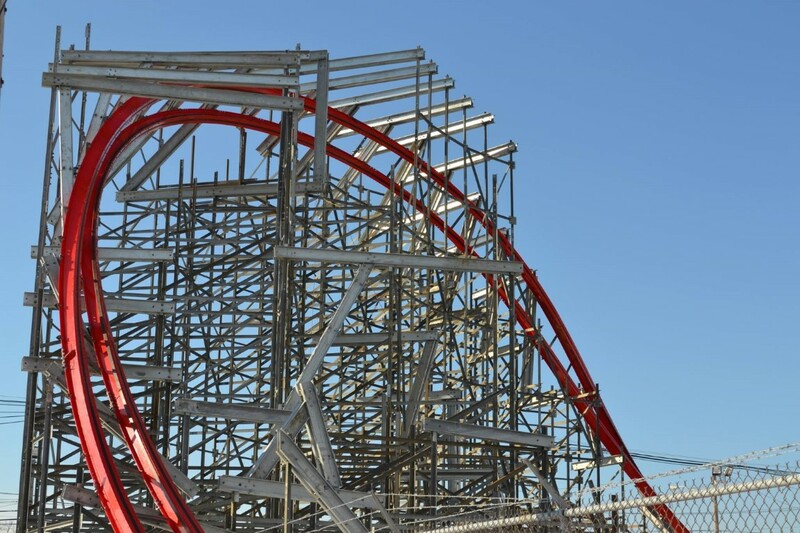 Kentucky Kingdom’s Storm Chaser is Now Open!